This product was added to our database on Friday 17 february 2017. Born out of Anglo-French accord and later discord, the SEPECAT Jaguar became one of the most capable and formidable fast jets of the 20th Century. The Jaguar has served with distinction in the Close Air Support and Reconnaissance roles in the Royal Air Force and Armée de L'Air, and enjoyed some export success with Oman, Ecuador, Nigeria and India, who are now the last operators of the aircraft. Slated for retirement from RAF service in the early 1990's, the Jaguar was suddenly thrust back into the spotlight with the Gulf War, and proved to the decision makers just what a capable and versatile aircraft they had, and one worth future investment rather than just the scrapman's torch. 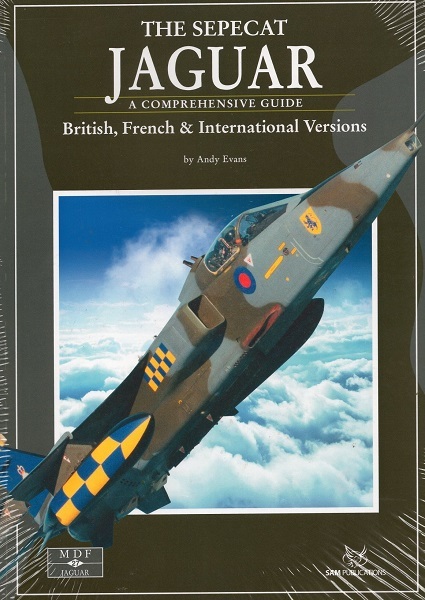 This new Datafile from SAM Publications is not only an account of the Jaguar's airframe, operators, roles and systems, but also a celebration of a much-loved aircraft, and one sadly missed in our skies. Includes full details of the aircraft in service, comprehensive walk arounds, colour profiles, scale plans and how to model the Jaguar in popular scales.